“President Donald Trump threatens our democracy. He lies, attacks our constitution, assaults the press, and obstructs justice. He causes unfathomable damage. The Constitution has a remedy for presidents who commit ‘great and dangerous offenses’: impeachment. A fair, lawful, bipartisan impeachment inquiry into President Trump means getting to the bottom of things. It means analyzing with a clear head and heart what President Trump has done and what the law requires. The Case for Impeaching Trump establishes the requirements for impeachment as set out by the Constitution and proves that President Trump’s actions have already met those requirements. 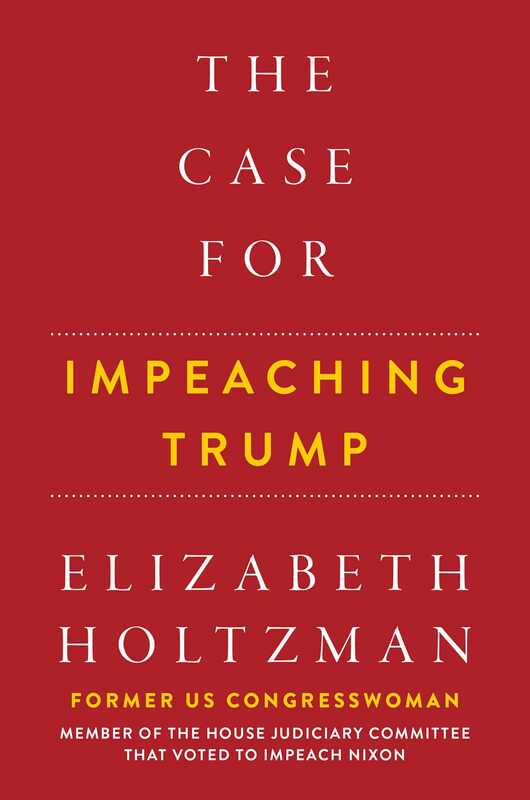 Holtzman makes the definitive, constitutional case that Trump can be impeached—and the process should start now.